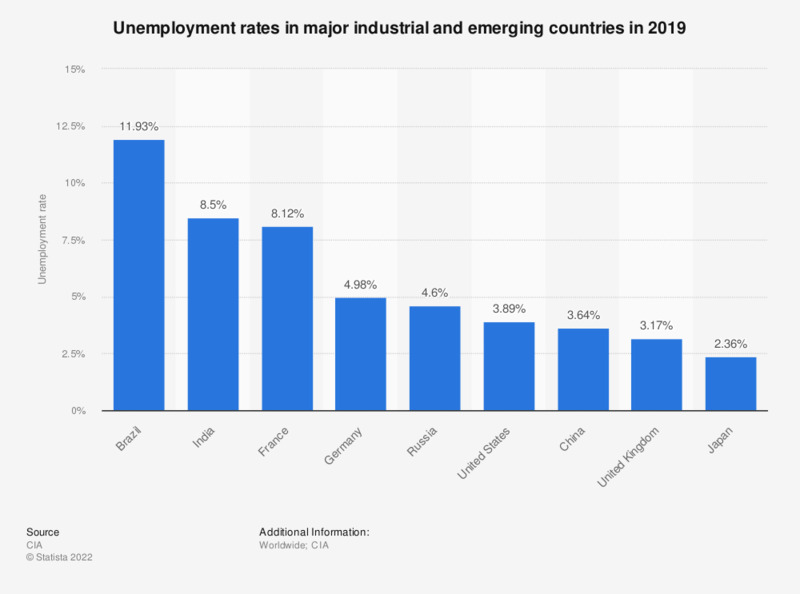 The statistic shows the unemployment rates in major industrial and emerging countries in 2017. In India, the estimated unemployment rate in 2017 was at 8.8 percent. According to the source, values are based on estimates.